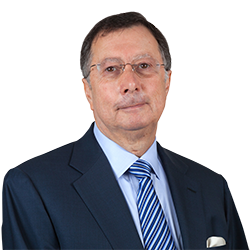 Michael J. Lotito | Littler Mendelson P.C. As co-chair of Littler’s Workplace Policy Institute (WPI), Michael Lotito strategically advises clients and policy makers on what labor and employment law might become, not just what it is today. He provides counsel in all aspects of traditional labor relations, including matters arising under the National Labor Relations Act. A nationally recognized thought leader on workplace policy, Michael has testified before the U.S. House of Representatives and the U.S. Senate, as well as the National Labor Relations Board (NLRB) and the Equal Employment Opportunity Commission (EEOC). In his WPI role, he advocates on behalf of the employer community on a variety of issues, regularly files amicus briefs on vital workplace policy concerns and has led the management community in opposition to the federal persuader rule, which would destroy confidentiality between lawyers and their clients. Through the Emma Coalition, a project Michael co-founded and named in honor of his granddaughter, he is at the vanguard in preparing American business and the American workforce for the future of work. As technology, especially robotics and artificial intelligence, creates not only unprecedented displacement but also unprecedented opportunities, the Emma Coalition, in cooperation with government and corporate entities, examines what skills the American workforce will need down the road and makes sure America and its people will remain competitive in the years to come. As part of this work, Michael has coauthored a widely read report summarizing what the future workforce can expect and how America can prepare. Michael represents leading global companies on strategic issues impacting their workplaces, including the intersection of U.S. and international labor standards. He speaks throughout the world to management groups, sharing his passion for the development and implementation of workplace regulations that balance the legitimate needs of businesses, their workforce and society at large. He is labor counsel to the International Franchise Association, the National Association of Manufactures’ legal compliance program, the Job Creators Network and a member of the U.S. Chamber of Commerce's labor and employment law litigation committee. Human Resource Executive magazine has inducted Michael into its Hall of Fame of the Nation’s Most Powerful Employment Attorneys. The College of Labor and Employment Lawyers has elected him a fellow. Awarded an AV Preeminent Peer Review Rating by Martindale-Hubbell, Michael is frequently quoted by the media, including Bloomberg BNA, Law360, Forbes, Politico, The Wall Street Journal, CNBC, Fox Business Network and The Hill, among others. He maintains a significant social media presence and can be followed on LinkedIn and Twitter. The Villanova University Graduate School of Human Resources named him HR Alumnus of the 20th Century. Human Resource Executive / Lawdragon Inc.
for making successful CEO presentations for chapters throughout the U.S. Political Speech in the Workplace: Is it Possible to Maintain Civility? What Workplace Measures Will Be on the Ballot Nov. 6? WPI Insider Briefing: Will the New Composition of Federal Agencies Effect Change? WPI Insider Briefing: What Happened to Health Care Reform and Where is the Department of Labor Headed? Regulatory Unburdening? An End to Uncertainty - But What Lies Ahead? State of the States: Legislatures are off to the Races! Who is Neil Gorsuch and Where Does He Stand on Labor and Employment Issues? Was the Obama NLRB the Most Partisan Board in History? Department of Labor Provides Limited Opportunity to Obtain Advice Without Triggering the New "Persuader Rule"
Persuader Rules: Greater Transparency or Destruction of Time-Honored Practice? Who is Merrick Garland and What Does His Nomination Mean for Labor and Employment Law? What are the Short- and Long-Term Employment Law Implications of Supreme Court Justice Antonin Scalia's Death? Morning Shift: Business Challenge to Joint Employer Guidance? State of the Union 2016 – What Will the President Focus on in his Final Year in Office? White House Summit to Promote "Worker Voice"
The Government Just Redefined What It Means to be an Employer. It’s a Huge Deal. Littler's Tammy McCutchen Testifies that the DOL's Approach in Proposed Overtime Rule is "Unprecedented"
How Broad is Broad? New DOL Guidance Determines "Most Workers Are Employees"
Republicans Re-Take Congress: Now What? Has the National Labor Relations Board opened ‘Pandora’s Box’? President Obama's State of the Union Address - What Are the Implications for Employers? What Would a Government Default Mean for Employers? Workplace Policy Institute – A Special Labor Day 2013 Report: Is Labor Poised For Rebirth? Washington Insider Update: What are the Labor and Employment Implications of the Senate's Recent Activities? Workplace Policy Institute: The Labor, Employment and Benefits Law Implications of the Affordable Care Act - Are You Prepared? Workplace Policy Institute: How Will the 2012 Election Results Impact Labor, Employment and Benefits Policy? Is It Time That We Finally Part Ways With the NLRA? Globalization of Labor Relations: A Transnational Perspective on "Think Global, Act Local"
Americans With Disabilities Act: Are You Prepared? Life After Foley: What Will It Be? The DOL's Persuader Rule: What Impact Will It Have On Your Business? Government Moving the Goalposts - Labor & Workplace Policy Changes - What do they mean for Franchising? The NLRB After Noel Canning: What's Ahead for the Ambush Election Rule, Employer Email Systems, the Joint Employer Relationship and Other Big Labor Issues? A Special Labor Day 2013 Report: Is Labor Poised For Rebirth?